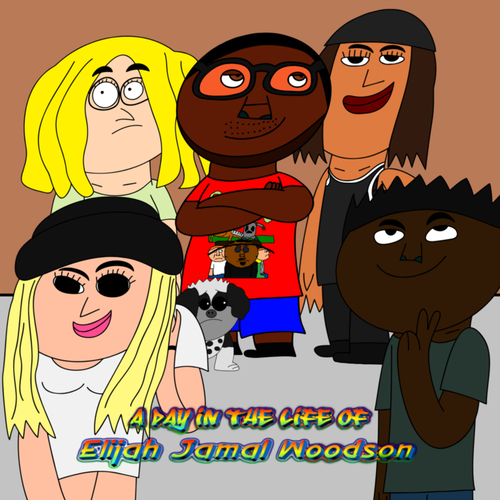 I'm currently making a new movie called A Day In The Life of Elijah Jamal Woodson. It features Elijah being caught in a progressive world and trying to find a way out of it. Should be able to animate the dance sequence used in the film. If auditioning, describe 2D animation software. 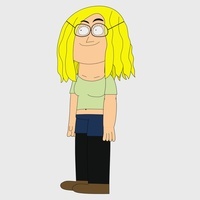 Sarah is an open-minded female who has blonde curly hair, wears glasses, a light green shirt showing only her belly button, and short shorts on top of her black leg protectors. She has a bold voice. Are you alright? You kinda dozed off here. Jeez, what have you been doing last night? Must've gave you a migraine from all that working. Fugazy is a young white female who wears swaggy clothes. She speaks in a African-American female accent, but her voice sounds sweet. Yeah, honey. You got any beer? Them other boys say that all the time. Here. Clean yourself up. Anyways, word is you movin' to Miami. Heard there gon' be tons of fly girls waitin' to get some of you. The therapist appears near the end of the movie in which he give Elijah some valuable advice on how to get through his troubles. I see. You're going through a late adolescent crisis, meaning you missed out on the fun stuff, simply because you thought you could go to jail for that fun stuff. Perhaps you should take long walks in the park, observe a little more, try to let loose. Besides, too much stress will kill you.